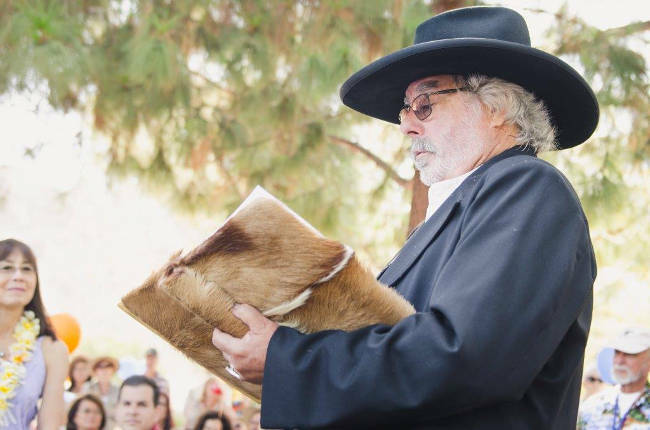 ULC Officiant: Rev Lon M. Burns D.D., M.S.W. 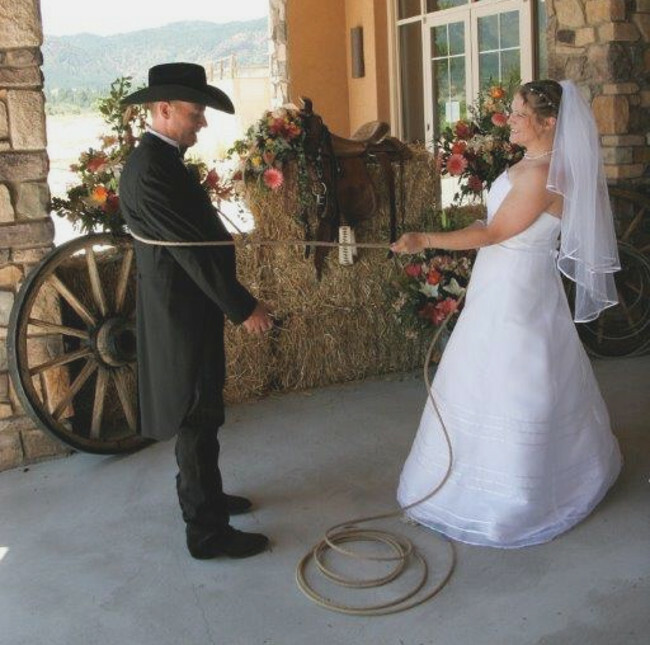 Whether you’re a city slicker or at home on the range, whether you’re getting hitched for the first time, climbing back in the saddle or commemorating any kind of special occasion, I can help you celebrate in a meaningful, distinctive way. 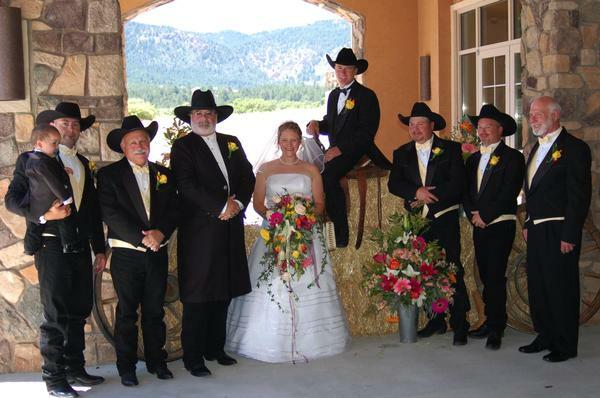 The cowboy wedding took place at the Inn at Palmer Divide, Palmer Lake, Colorado, about 8,000’ up in the Rockies. 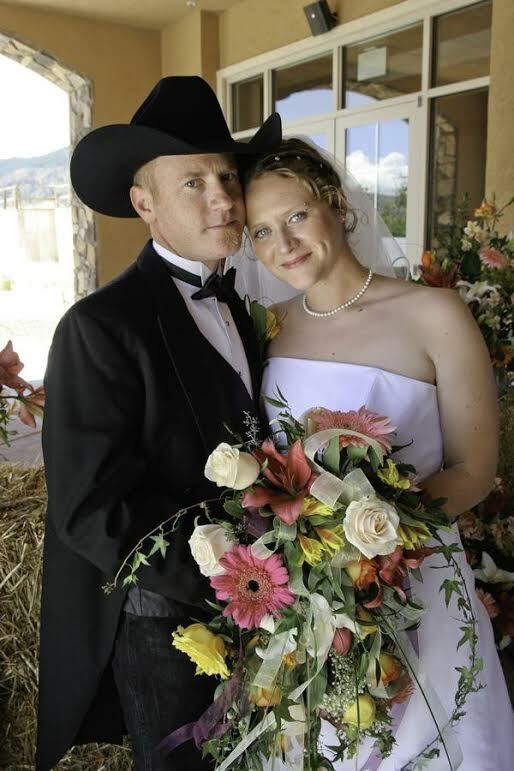 As for advice to other ministers, and those considering becoming one, I would say what I share with all my potential clients about myself and my services: “I may not take myself too seriously, but I do take you – and your wedding – very seriously.” My services are all customized for the couples I work with, and the process for creating them is a truly collaborative one…involving work, the sharing of heartfelt feelings, and a good deal of humor. 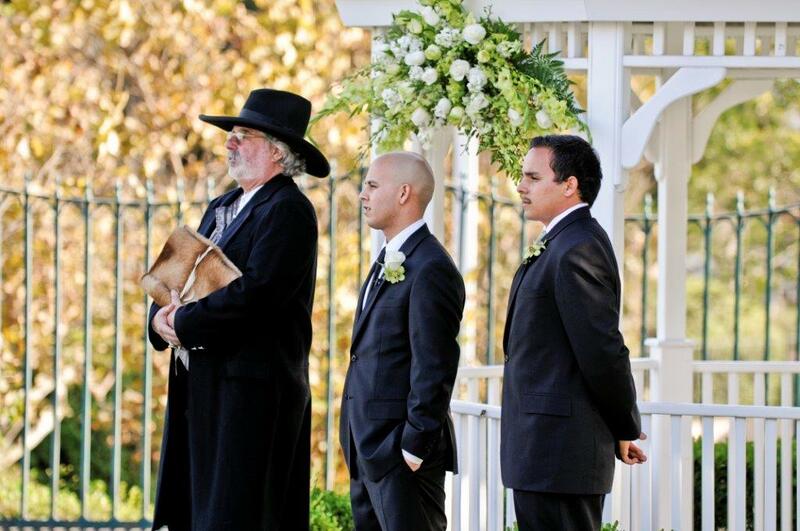 Groom awaiting his bride to be on their wedding day. 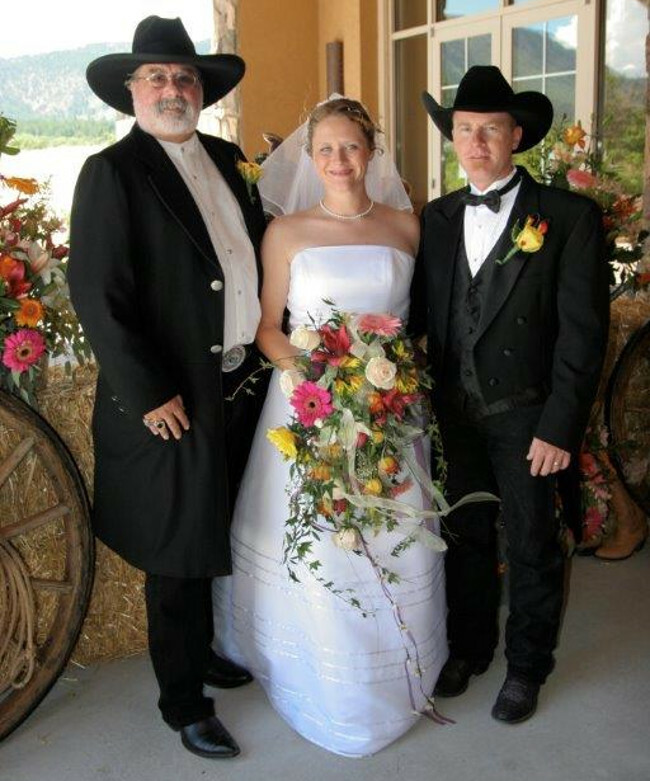 This cowboy themed wedding finishes with a photo of the Bride, Groom and the Minister. 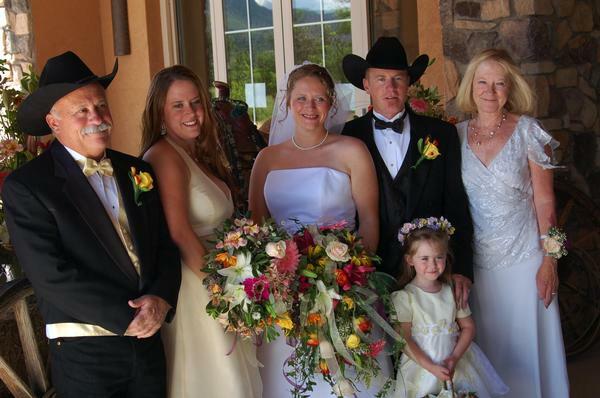 The Flower Girl posing with her parents on their wedding day. 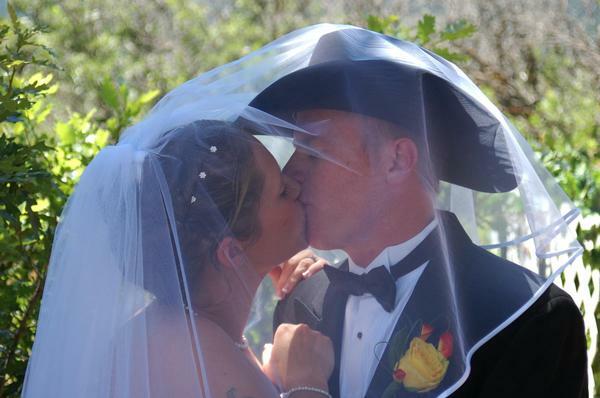 This cowboy wedding is solidified with a kiss. 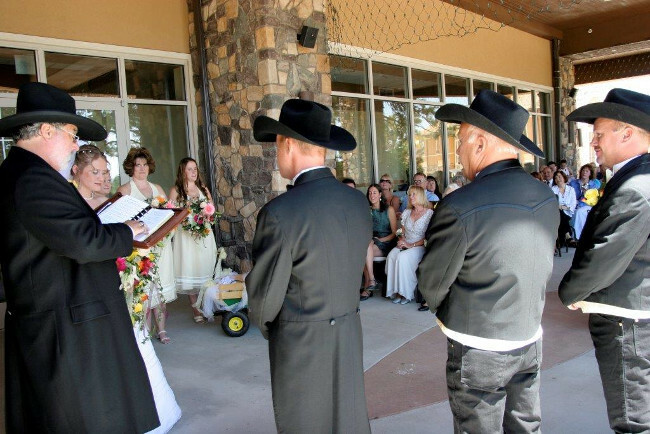 The wedding goers look on as this Wild West themed wedding commences. 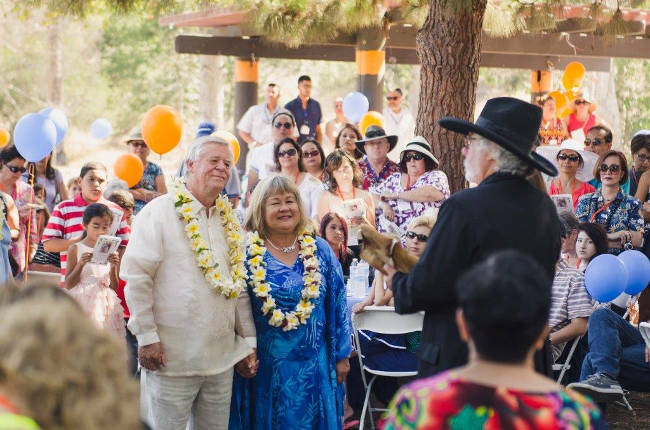 The following two photos are from a Filipino luau themed wedding. Bride adorned with pearls takes a wedding photo with her new Husband. The binder I use for my services is a custom-made hair-on-hide antelope made by a cousin of mine who (with his late father) ran a custom bookbinding business in Hollywood, specializing in making fancy custom leather bindings for movie directors and stars of their favorite books and scripts. And finally, a picture of Rev. 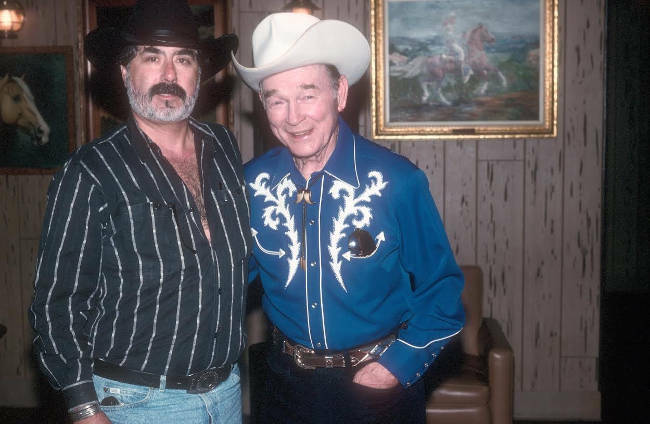 Burns from some years ago with one of his heroes, Roy Rogers, King of the Cowboys, as Rev. B was beginning his journey to his calling as a ULC Minister. 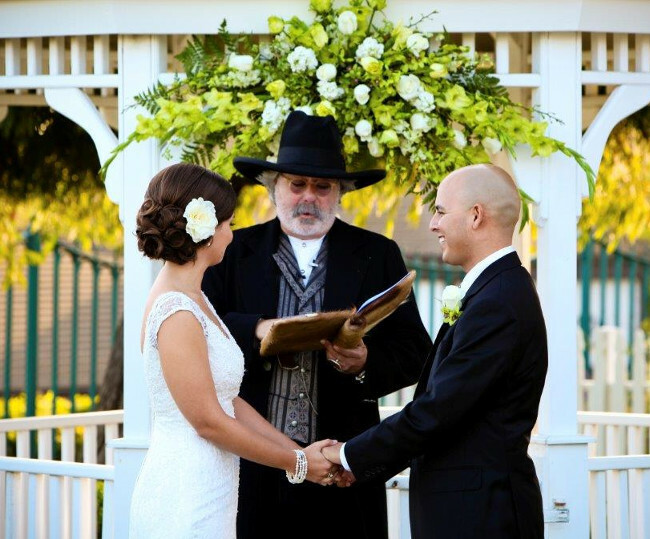 I never plan to get hitched again but if I ever get demented enough to try, you are the guy I will call!